This is a rather bleak spot and I can imagine in winter a very tough spot to get to. 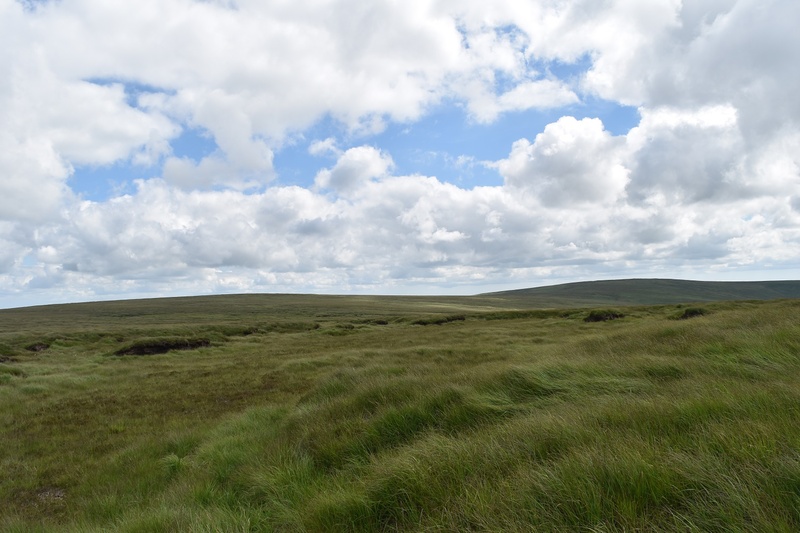 The Taw, East Dart and West Okemont all have their starting points in boggy ground to the north and east. Black Ridge Brook sits to the west. the only safe ground seems to be from Cut Hill and that can have its moments!! The whole area seems to be covered in bog cotton grass which can only mean one thing. 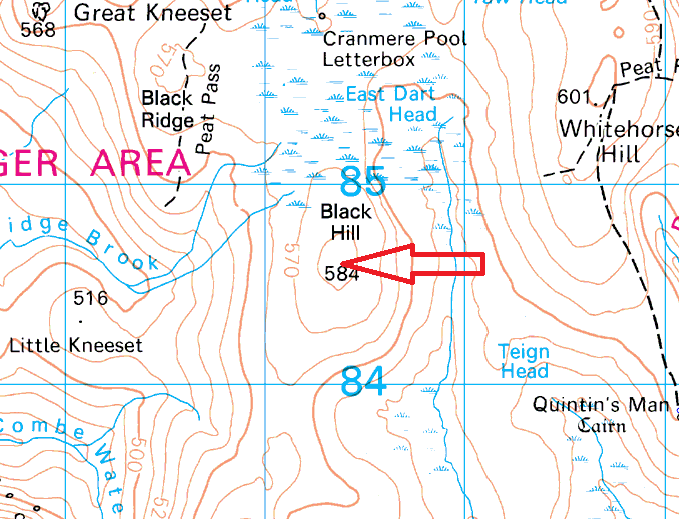 Being where it is, this hill is always going to be a few hours from the car and once there, peat hags and a flat summit area can mean it can be difficult to find the actual summit. 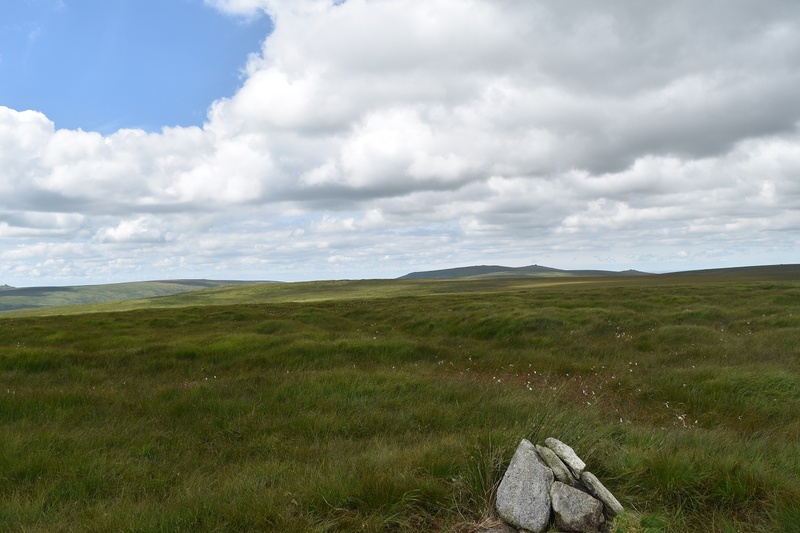 However, a bit like nearby Whitehorse Hill, a small cairn has been erected of white stones, meaning you are in no doubt. 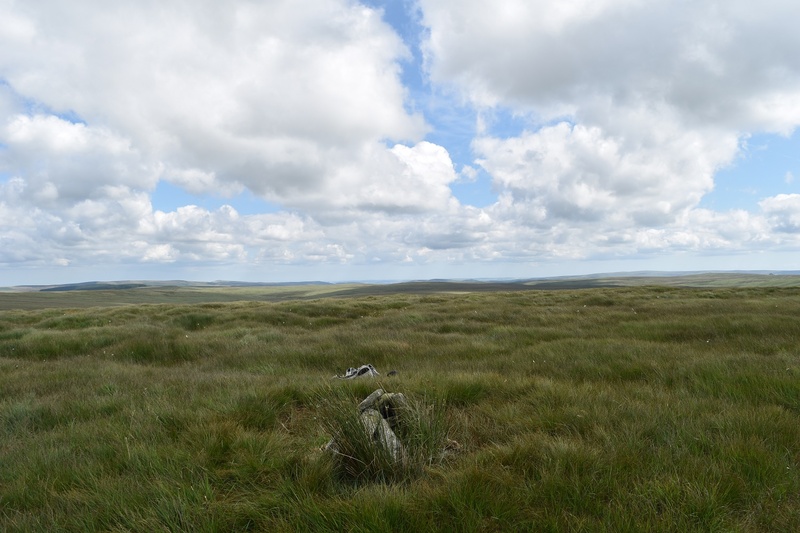 The views are decent although with the ground around being so flat they aren’t as good as some of the surrounding tors such as Great Kneeset, which is a little surprising given its height. To the south are the best views, to Cut Hill and Fur Tor. 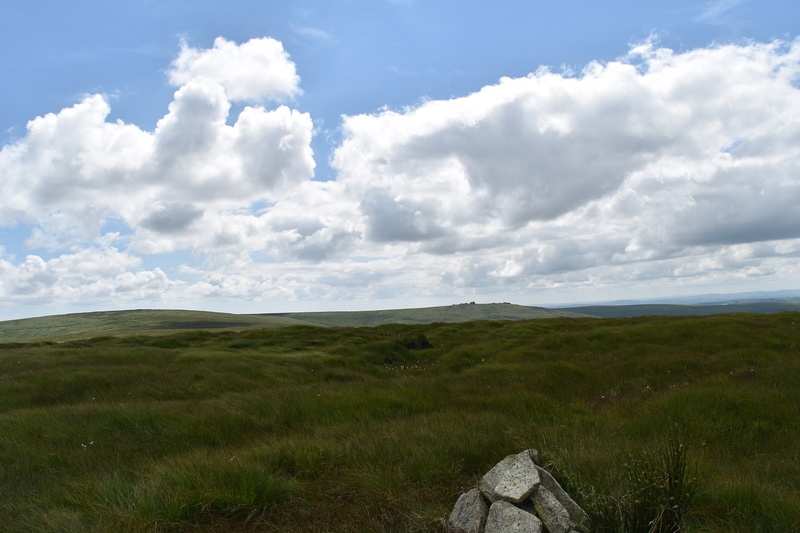 The hill sits in the middle of the Okehampton range so be wary of red flags flying on certain days.